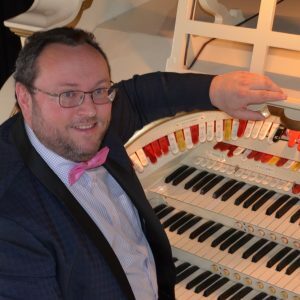 Michael Carter is an organist from the West Midlands, near Solihull. He plays both electronic and theatre organ. During his concerts you will hear a mix of theatre organ standards, orchestral arrangements, light classical items, film music and showtunes, as well as some popular tunes and diverse musical interpretations. Michael started learning to play the organ following a visit to Blackpool Tower, aged nine. Michael was mesmerised by the sound and remembers deciding there and then that he wanted to play that instrument. Within a few years of hard work and with tutorage from Midlands Cinema Organist, Foley Bates, he returned to the Tower and achieved his ambition to play the famous instrument. After a 20-year musical hiatus to focus his career in IT, Michael has returned to the UK organ scene playing both electronic and theatre organ. With a full time career as an IT professional, Michael is only able to accept a limited number of engagements each year. Please do get in touch early where possible to help with diary planning. In his spare time, Michael helps with maintenance at some theatre organ venues and is now the editor for the COS Journal as well as being an active member on the Midlands committee. Not content with this, his garage now houses a 2-manual Wurlitzer console that he is spending many hours rebuilding as a Virtual Theatre Pipe Pipe Organ.